You can taste great food in your head long after you first experience it. That’s the case for me and the rhubarb cocktail I drank at Franny’s in 2009. 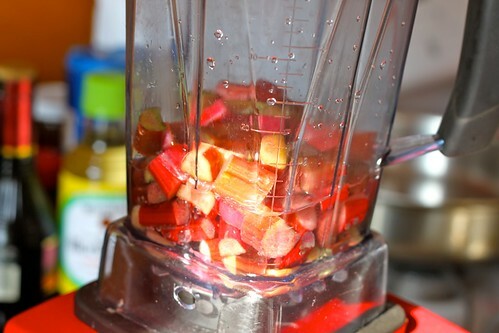 Most rhubarb drinks have a cooked quality to them; the rhubarb is generally poached in a sugar syrup. 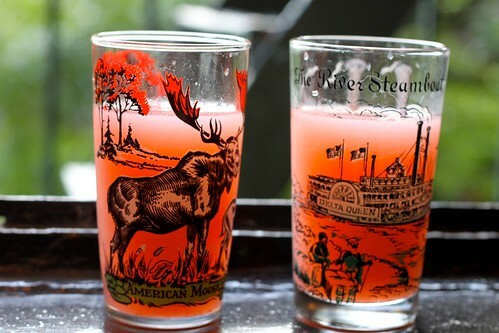 The Franny’s rhubarb drink (which, apparently, is made with Aperol) is nothing like that. 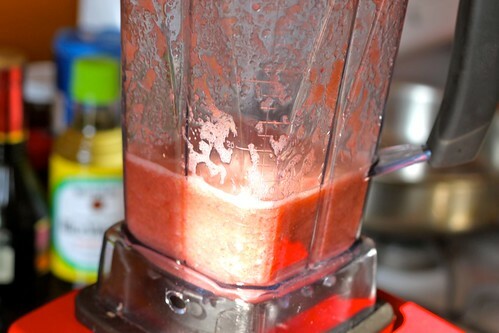 The rhubarb flavor (which comes from juicing rhubarb raw) is intense and sharp and the cocktail, as a whole, is incredibly bracing. It’s the kind of drink that makes you sit up in your seat, alert and ready for dinner. Which is why yesterday, when I came home from the farmer’s market with rhubarb (along with strawberries and sugar snap peas) I knew what i had to do. I had to make a raw rhubarb cocktail of my own. 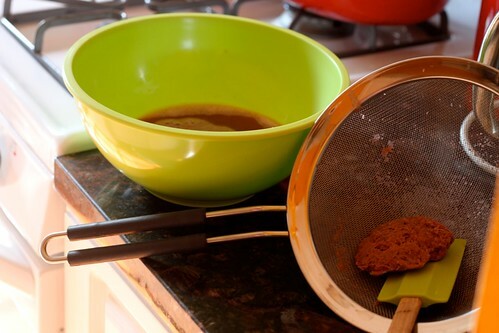 If I had to do it all over again, I wouldn’t have used an equal amount of sugar (1 cup sugar to 1 cup liquid). The final drink was too sweet for Craig; so next time I’ll cut it down to 1/2 cup sugar to 1 cup liquid to see what that tastes like. Proceed accordingly. 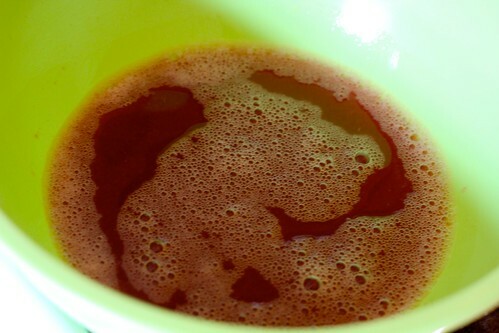 The point is, though: don’t cook that juice. 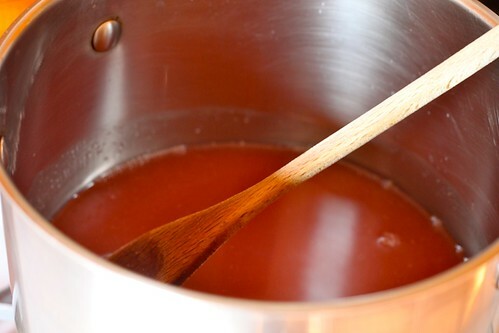 Just let the sugar melt and then refrigerate until everything cools. That syrup will amaze you. It still has that intense raw flavor, except it’ll be sweet. You don’t even have to use it in this particular recipe; it’d be great as an afternoon treat with just soda water added. 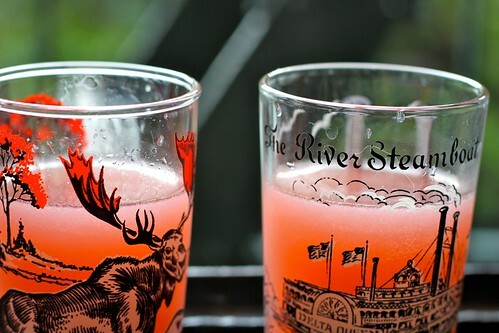 Call it a Raw Rhubarb Fizz. Again, because all of the sugar in the syrup, Craig didn’t enjoy his. He fixed it though by adding a squeeze of lemon juice and some filtered water. As for me, I kind of loved it. Yes, it was super sweet and it could’ve been less sweet, but that raw rhubarb flavor was exactly what I was looking for. So look out for many more raw rhubarb cocktails to come!